At Security In Shredding, document shredding is done with confidentiality and security is paramount when carrying out data destruction service. Data breaches occur when people are negligent or not aware of a breach. The most recent high profile story being the “Panama Papers” leak. In light of this recent breach “I think we need to change the fundamental design of the way each and every document is created and managed,” – commented Bill Anderson of cyber security company OptioLabs, in a cnet.com story about the Panama Papers. While there are many aspects to data security, a sound document retention policy is one of the most important. Knowing what confidential documents to keep and which ones to permanently destroy should be of concern to everyone. Maintaining a clean desk policy will also help minimise the risk of confidential documents getting lost with other data. This high profile case may sound like it won’t happen to you but the chances are that the data breach occurred by improper use or destruction of a data. All it takes is one wrong move for all your data to be accessed. 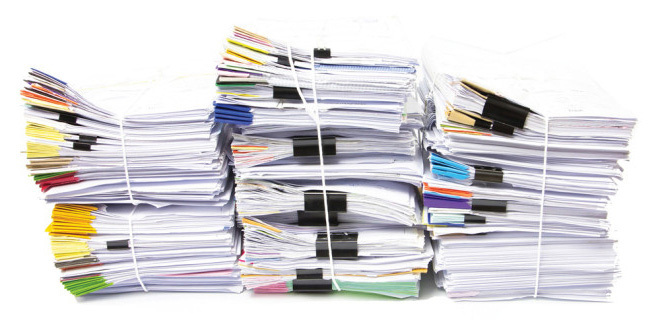 Below are some document retention policy guidelines to help keep your information secure. How Long To Keep Tax Records? There are two parts to data retention: how long documents will be useful to the business, and how long they must be retained based on government and industry requirements. Checking with Revenue.ie on how long to retain your tax returns. Fines – either way: While it’s law to keep certain documents, if you retain a record for too long you might also expose yourself to litigation risks and fines. Like most privacy laws, Data Protection Act compliance stipulates the record must be securely disposed of when the official retention period is over. Controlled Access: Index all documents for easy retrieval. Store in a secure, locked location and/or in a password protected file. Control who can access sensitive documents and logging when this information has being accessed. Storing unwanted documents increases the risk of a Data Breach and adds to clutter. Secure disposal: The only acceptable way to discard paper or digital documents when they are no longer needed is to completely destroy them. Industrial Shredding companies can dispose large quantity of documents, and outsourcing eliminates risk. Partner with a reputable shredding company that has secure chain of custody processes for information destruction. A Certificate of Destruction will document compliance and should be issued after every shred. At Security In Shredding data security is equally important as confidential data destruction. An on site service or off site service is available throughout Ireland. Please visit our site for more information. This entry was posted in Confidential Shredding, Data Destruction, Data Protection, Digital Data, Off Site Shredding, Onsite Shredding, Paper Shredding, Product Destruction and tagged Confidential Shredding, Data Privacy, Data Protection, Data Security, document shredding, Secure Shredding by Security in Shredding. Bookmark the permalink.